This is a website that is being created from my heart and soul to honour my parents, John and Marilyn Kading. My mother passed on November 18, 2016, and it has motivated me to create this website called Millbrook Memories to share with the world! Millbrook – Marilyn J. Kading, 83, of Clinton Corners, NY, died Friday evening, November 18, 2016, surrounded by family who loved her. Born Marilyn J. Mull, in Toledo, Ohio on July 30, 1933, she was the daughter of Ralph and Dorothy Mull. Marilyn married John E. Kading of Millbrook on March 26, 1955, they were married 61 short years. Together Marilyn and John owned and operated the Corner News Store in Millbrook for over 50 years. There at the Corner News, her love for the Village of Millbrook and friends met along the way grew every day for those 50 years. In 1965, John and Marilyn moved to Mabbettsville to the home of her dreams (and the farm of his dreams). Marilyn and John raised their four children on the farm in Mabbettsville. Surrounded by the love of her family and friends she would entertain on her deck and would love to watch the cars and people pass by. Marilyn and John sold the Corner News Store in 1999 and retired to the farm in Mabbettsville where she enjoyed her grandchildren. In 2006, they sold the farm and moved to a smaller house in Clinton Corners, but her heart and love always stayed in Millbrook. In 1998, she lost her youngest daughter Debbie to cancer but now are united together again in heaven. Marilyn is survived by her husband of 61 years, John E. Kading, her children Diane (and Gerry) Schoessow, John (and Jennifer) Kading, Donald (and Michelle) Kading, her grandchildren, Jessica (and Peter) Cedeno, David Brownell, Ashley and Kyle Schoessow, Kaylee Kading, Elizabeth (and Dominic) Bucci, John Kading III, Christina Kading, Michael Kading, Stephen Kading, and her great grandchildren, Joshua, Jasmyn, Riley, Nathan, Eden, and her nieces and nephews, Thomas, Judy, James, Pam, Carol, Michael, John and Suzie. Previously deceased and waiting to greet her with open arms in heaven are her parents Ralph and Dorothy Mull, her beloved daughter Debbie, her sisters Alice and Elaine, her brothers James and Howard, and her niece Lou Ann. A memorial service will be held on Wednesday, November 23rd, at Lyall Memorial Federated Church, 30 Maple Avenue, Millbrook, NY at 11:00 am, immediately followed by a cemetery service at Nine Partners Cemetery in Millbrook, followed by a memorial tribute back at Lyall Federated Church. In lieu of flowers donations to the Millbrook Historical Society, 35 Merritt Ave, Millbrook, will be accepted. 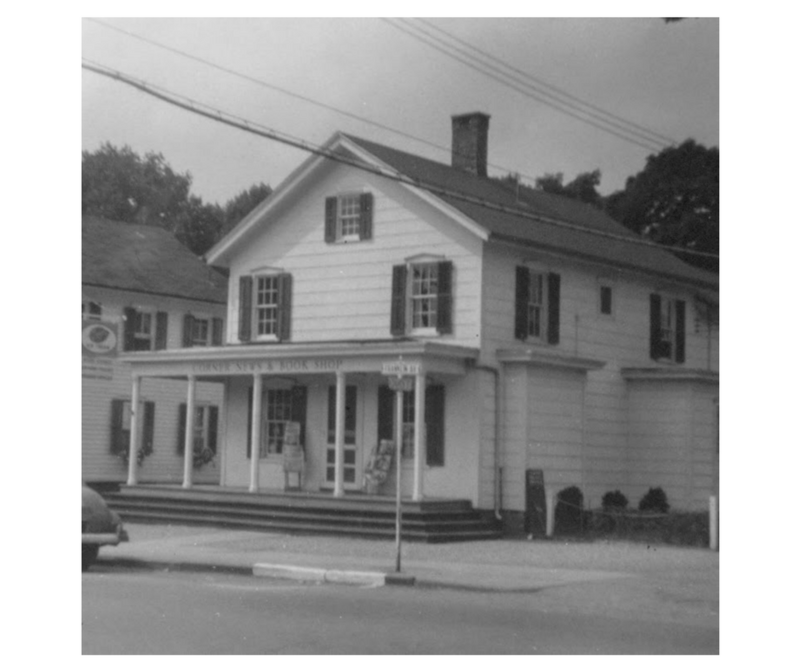 Please come and browse through the memories of Millbrook, New York and the legacy of John and Marilyn Kading and their very much missed Corner News Store that had been the “heartbeat’ in the Village of Millbrook for 54 years! Please be my guest as you stroll down memory lane through the many decades of my father’s lifetime of pictures! 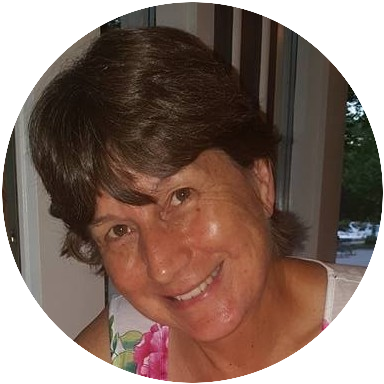 I am, Diane Kading Schoessow, the oldest daughter of John and Marilyn Kading, and the creator of this site Millbrook Memories! I started working at The Corner News Store when I was around 10. I would do whatever odd jobs I could do at my age. I can remember reuniting lost envelopes to their matching greeting cards, to give you an idea of the kind of work I could do at 10! I worked after school and summer vacations, starting at 25 Cents an hour, and remember how thrilled I was to have worked for 4 hours to be able to buy “Daydream Believer” by The Monkees one summer, too! I graduated in 1974 from Millbrook High School and went on to Dutchess Community College to study Retail Business Management, thinking that I would continue the family’s business. I graduated with an Associate Degree and tried to integrate what I had learned in college at The Corner News, but my boss-my father-had his way of doing business and I would need to accept that! So with that same entrepreneurial spirit running through my brain- that my dad had passed onto me- I became interested in Network Marketing and joined quite a few of them throughout my life. Always looking for the Right one to satisfy my itch! But then I fell in love, with my Prince! Which followed with a Beautiful Wedding! Which then followed in the building our dream home, with the help of many family and friends! That was followed by our most cherished creation of all with the birth of our two children, our daughter, Ashley and our son, Kyle! Did I have a normal life growing up in Millbrook, New York? A small village where everyone seemed to know everyone! But it is also what makes it so Special too! I grew up in this womb with witnessing this connection that I had a front row centre seat to watching as I worked at The Corner News Store! It was heartwarming to grow up experiencing this bond! And I believe we will never ever lose that bond either! We all have our Millbrook Memories and that’s what I want to share with this site! Our connection to those cherished Millbrook Memories! But there’s more to it then the pictures and stories of Millbrook, New York! With the entrepreneur spirit passed down from my father, I have wanted to have my own online business that I could do during my retirement years. On my 61st Birthday, June 23, 2017, I joined Wealthy Affiliate 7-day FREE trial, which gave me the way to test it out if it would work for me. I finished their training in that week and was confident that it was the Real Deal in just what I needed to create this website www.MillbrookMemories.com! 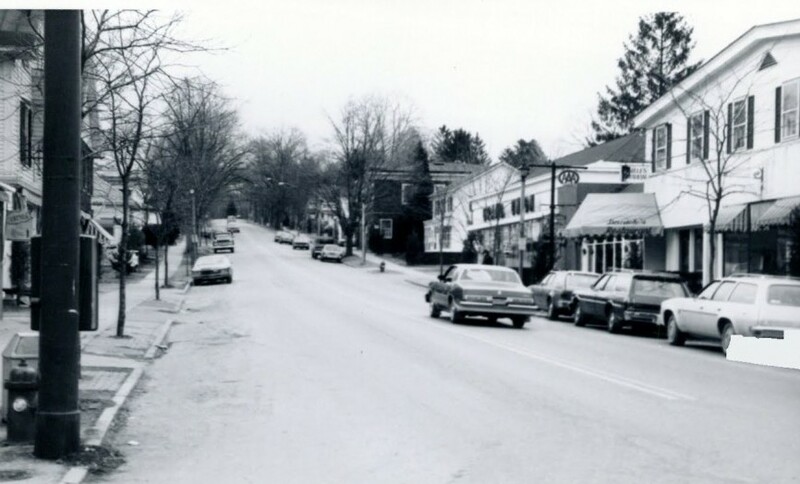 This would be the way I could finally share my father’s lifetime of pictures of Millbrook to the world! This was the way I could create a “Forever Gift” to my parents and to my family that would last for years! 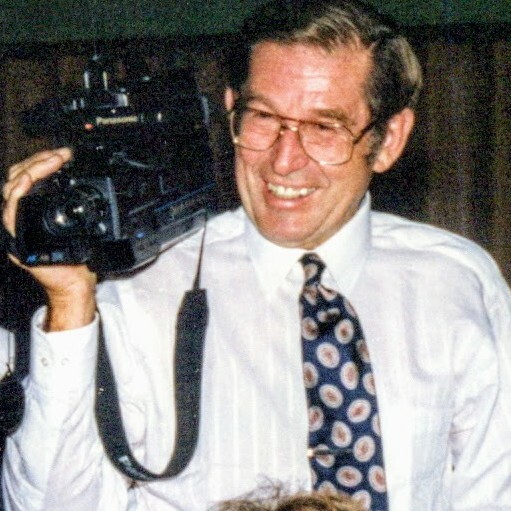 At last, I had created a HOME for my father’s pictures where anyone around the world could come and browse through the posts and remember their own Millbrook Memories, too! 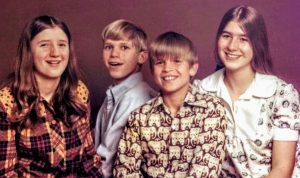 As I continued to research this area of sharing family pictures and their memories, I was overjoyed to see that many are interested in this same thing too! I am in the baby boom generation and we all are concerned about our parents and older relatives picture and memory collections! We are a movement going on in the background trying to save our family’s pictures before a disaster may forever take them away from not only us but our future generations too! It’s time to take action to do what will preserve and protect them for years! We are the Memory Keepers of the family and we all need to take the role seriously now more than ever before! 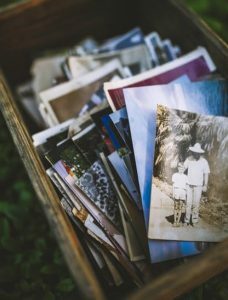 Our family history is important and all those pictures in a shoe box in your closet or God forbid your basement, need to be cared for correctly NOW! Here’s a picture of my family. 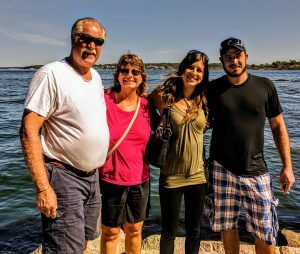 My Husband Gerry, my daughter, Ashley and son, Kyle! That’s me on the right, then Donald, Johnny, and Debbie, who passed on June 28, 1998. We all are a wee bit older, but thought I’d post this to all that remember us looking like this! So this is for all the Millbrook Lovers around the world and my hope is that this site will bring joy into your lives! If you ever have any questions, please feel free to email me at Diane@MillbrookMemories.com and I will be more than happy to answer them. And if you don’t want to miss the updates on what’s happening here on Millbrook Memories then please sign up for the future Millbrook Memories Newsletter that I plan on creating real soon! Thank you for this Dianne! Your parents left their mark on each every kid and family in town! Hoping to see someday a pic or two of my Grandfather’s business (Paul Jay Haight) pre Post Office days. Slim chance your dad may have one or two! Sorry to hear of your mom’s passing, if your dad is still with us, please give him my warmest regards! Well loved and well respected family!